The world’s No. 3 vendor for total PCs, Acer has launched its new sleek 23-inch widescreen (16:9 aspect ratio) LCD display, named as Acer H233H bmid, which features SensorTouch technology, the advanced touch-sensing solution that takes advantage of capacitive technology, delivering excellent touch-sensitivity performance. “The new 23-inch display offers users the best HD support available with a sleek new form factor and advanced features, making it ideal for a variety of viewing needs,” said Stephanie Eggert, Senior Manager, Retail Desktop Product Planning for Acer America. 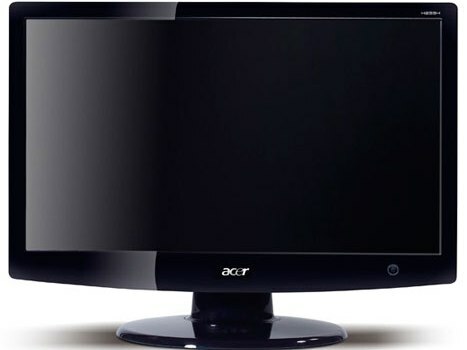 The new 23-inch Acer H233H bmid LCD monitor that comes with 2 premium (1.5 W) speakers for high-performance sound is now available for a MSRP of $229.99.